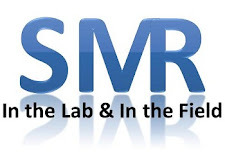 The American Medical Society for Sports Medicine (AMSSM) updated a position statement on blood-borne pathogens in the context of sports participation. The document is directed toward all health care providers who care for patients involved in sport or exercise. The document reviews relevant epidemiology, testing/screening, specific management and preventive measures, effects of exercise on athletes living with blood-borne pathogens and general principles of management, and education. View 188 other recent position statements, consensus statements, guidelines, and recommendations related to sports medicine.